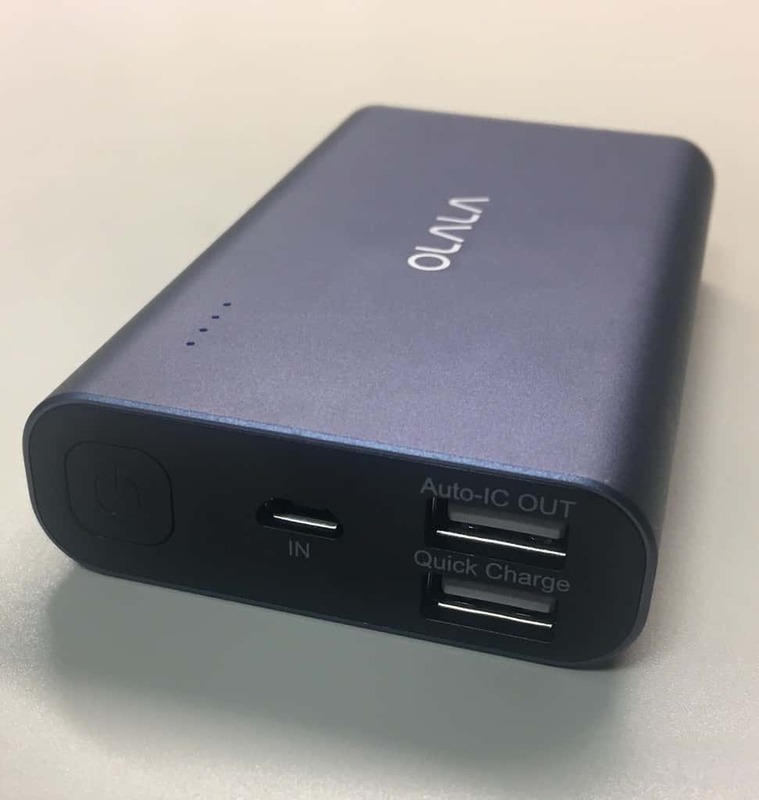 Over the past week, I’ve had the opportunity to test and review the OLALA 10500mAh 2-Port Power Bank with Quick Charge 3.0. I reviewed a similar OLALA 7500mAh Power Bank last month. This power bank offers a 10500mAh battery with support for Quick Charge 3.0 technology allowing you to charge your devices even quicker. As with any portable power bank, it is ideal for any traveler or commuter that can’t always be near an outlet. The power bank has 4 easily visible LED lights on the top that indicate how much power is left. The internal Panasonic battery can be fully charged in about 5 hours and can be charged over 500 times without degradation. The aluminum alloy case feels very durable and very well manufactured. The micro-USB and USB ports also seem durable and will survive the constant plugging and unplugging. The OLALA 10500mAh 2-Port Power Bank averaged a charging rate of 1% per minute for an iPhone 6S with no phone usage during the test besides push notifications. Within 30 minutes, the iPhone 6S was charged from 70% to 100% using the Quick Charge port on the power bank and a standard Apple Lightning Cable. This charging rate is quicker than any other power bank I’ve tested. I did not use the phone while charging, but it was connected to my Apple Watch via Bluetooth and it had an active WiFi connection. I had about 10 push notifications within the 30 minutes which would illuminate the screen for a few seconds each time. Weighing in at 221g, it is a little on the heavy side, but that’s expected with a 10500mAh battery. The OLALA 10500mAh 2-Port Power Bank is also on the thick side. While there’s no included Lightning or USB-C cables, it does come with a micro-USB cable that is used to charge the device or used to charge your compatible device. If you’re in a hurry and plug your phone in and walk away, you might be disappointed when you return to a dead phone. You have to remember to press the power button on the power bank, otherwise it won’t charge your device. This has happened to me a couple of times. Overall, I’m very pleased with the OLALA 10500mAh 2-Port Power Bank. While it doesn’t include any built-in cables, it offers plenty of power for multiple charges and the Quick Charge feature will keep you going even faster. For the current Amazon Prime price of $26.99 and fast shipping options, it is an ideal gift for any traveler.